Serving the Allentown area for Over 20 Years. Corey W Kirshner DC, FIACA, D.C.
Alfred P Stangl, D.C., is a chiropractor located in Allentown, PA. Take the next step and contact Dr. Alfred P Stangl, D.C., for a consultation in Allentown, PA or to get more information. Joseph Barchini, D.C., is a chiropractor located in Allentown, PA. Take the next step and contact Dr. Joseph Barchini, D.C., for a consultation in Allentown, PA or to get more information. Lawrence Cipolone, D.C., is a chiropractor located in Allentown, PA. Techniques: • Diversified • Activator Methods • Reception Tonus • Sacro Occipital Technique • Manual Adjusting • Gonstead Take the next step and contact Dr. Lawrence Cipolone, D.C., for a consultation in Allentown, PA or to get more information. Antonio C Fernando, D.C., is a chiropractor located in Allentown, PA. Techniques: • Activator Methods • Diversified • Thompson • Science Based Nutrition Take the next step and contact Dr. Antonio C Fernando, D.C., for a consultation in Allentown, PA or to get more information. Paul Basile, D.C., is a chiropractor located in Allentown, PA. Techniques: • Activator Methods • Applied Kinesiology Take the next step and contact Dr. Paul Basile, D.C., for a consultation in Allentown, PA or to get more information. Richard A Bold, D.C., is a chiropractor located in Allentown, PA. Techniques: • Diversified • Myofascial Take the next step and contact Dr. Richard A Bold, D.C., for a consultation in Allentown, PA or to get more information. Stephen L Kulik, D.C., is a chiropractor located in Allentown, PA. Techniques: • Palmer Package • Gonstead • Diversified • Pierce • Toggle Recoil Take the next step and contact Dr. Stephen L Kulik, D.C., for a consultation in Allentown, PA or to get more information. Frank Mac Donald, D.C., is a chiropractor located in Allentown, PA. Take the next step and contact Dr. Frank Mac Donald, D.C., for a consultation in Allentown, PA or to get more information. John Hamza, D.C., is a chiropractor located in Allentown, PA. Take the next step and contact Dr. John Hamza, D.C., for a consultation in Allentown, PA or to get more information. Patrick R. Smarch, D.C., is a chiropractor located in Allentown, PA. Techniques: • Diversified • Thompson • Pierce • Gonstead • Trigger Point Therapy Take the next step and contact Dr. Patrick R. Smarch, D.C., for a consultation in Allentown, PA or to get more information. Debra L Richebacher, D.C., is a chiropractor located in Allentown, PA. Techniques: • Cox • Light Force • Family Care Take the next step and contact Dr. Debra L Richebacher, D.C., for a consultation in Allentown, PA or to get more information. Stuart Cohen, D.C., is a chiropractor located in Allentown, PA. Techniques: • Activator Methods • Diversified • Pierce • Thompson Take the next step and contact Dr. Stuart Cohen, D.C., for a consultation in Allentown, PA or to get more information. Michael Lueddeke, D.C., is a chiropractor located in Allentown, PA. Take the next step and contact Dr. Michael Lueddeke, D.C., for a consultation in Allentown, PA or to get more information. Eric P Herman, D.C., is a chiropractor located in Allentown, PA. Techniques: • Applied Kinesiology • Manual Adjusting • contact Dr. Reflex Analysis • Emotional Freedom Technique • Accupressure Take the next step and contact Dr. Eric P Herman, D.C., for a consultation in Allentown, PA or to get more information. Russell Volpe, D.C., is a chiropractor located in Allentown, PA. Techniques: • Hole in One Take the next step and contact Dr. Russell Volpe, D.C., for a consultation in Allentown, PA or to get more information. Daniel Allen, D.C., is a chiropractor located in Allentown, PA. Take the next step and contact Dr. Daniel Allen, D.C., for a consultation in Allentown, PA or to get more information. William E Kisthardt III, D.C.
William E Kisthardt III, D.C., is a chiropractor located in Allentown, PA. Techniques: • Diversified • Gonstead • Applied Kinesiology • Sacro Occipital Technique Take the next step and contact Dr. William E Kisthardt III, D.C., for a consultation in Allentown, PA or to get more information. Michael Cerra, D.C., is a chiropractor located in Allentown, PA. Techniques: • Diversified • Sacro Occipital Technique Take the next step and contact Dr. Michael Cerra, D.C., for a consultation in Allentown, PA or to get more information. Edward L Parrish, D.C., is a chiropractor located in Allentown, PA. Techniques: • Diversified • Thompson • Activator Methods • Gonstead • Manual Adjusting • Spinal Biomechanics Take the next step and contact Dr. Edward L Parrish, D.C., for a consultation in Allentown, PA or to get more information. Richard Durich, D.C., is a chiropractor located in Allentown, PA. Techniques: • Flexion-Distraction • Diversified Take the next step and contact Dr. Richard Durich, D.C., for a consultation in Allentown, PA or to get more information. Daniel J Roskos, D.C., is a chiropractor located in Allentown, PA. Techniques: • Diversified Take the next step and contact Dr. Daniel J Roskos, D.C., for a consultation in Allentown, PA or to get more information. Bill Adams, D.C., is a chiropractor located in Allentown, PA. Take the next step and contact Dr. Bill Adams, D.C., for a consultation in Allentown, PA or to get more information. Kurt Brzezinski, D.C., is a chiropractor located in Allentown, PA. Take the next step and contact Dr. Kurt Brzezinski, D.C., for a consultation in Allentown, PA or to get more information. William W Kulik Jr, D.C.
William W Kulik Jr, D.C., is a chiropractor located in Allentown, PA. Techniques: • Hole in One • Gonstead • Pierce • Thompson • Applied Kinesiology Take the next step and contact Dr. William W Kulik Jr, D.C., for a consultation in Allentown, PA or to get more information. Barry Merchant, D.C., is a chiropractor located in Allentown, PA. Techniques: • Diversified Take the next step and contact Dr. Barry Merchant, D.C., for a consultation in Allentown, PA or to get more information. 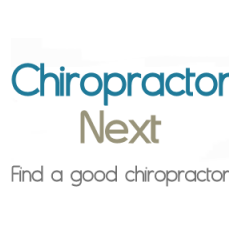 Paul M Braadt, D.C., is a chiropractor located in Allentown, PA. Techniques: • Palmer Package • Gonstead • Cox Take the next step and contact Dr. Paul M Braadt, D.C., for a consultation in Allentown, PA or to get more information. Linda Tyrie, D.C., is a chiropractor located in Allentown, PA. Techniques: • Diversified • Upper Cervical • Toggle Recoil Take the next step and contact Dr. Linda Tyrie, D.C., for a consultation in Allentown, PA or to get more information. Karl E Mueller, D.C., is a chiropractor located in Allentown, PA. Take the next step and contact Dr. Karl E Mueller, D.C., for a consultation in Allentown, PA or to get more information. Alan J Stangl, D.C., is a chiropractor located in Allentown, PA. Techniques: • Applied Kinesiology • Diversified • Gonstead • Thompson Take the next step and contact Dr. Alan J Stangl, D.C., for a consultation in Allentown, PA or to get more information. John C Labate, D.C., is a chiropractor located in Allentown, PA. Techniques: • Pettibon • Palmer Package • Diversified • Applied Kinesiology Take the next step and contact Dr. John C Labate, D.C., for a consultation in Allentown, PA or to get more information. C Paul Garabo, D.C., is a chiropractor located in Allentown, PA. Techniques: • Diversified • Gonstead • Cox • Activator Methods • Thompson Take the next step and contact Dr. C Paul Garabo, D.C., for a consultation in Allentown, PA or to get more information. ElizabethAnne B Kitson, D.C., is a chiropractor located in Allentown, PA. Techniques: • Diversified • Cox • Motion Analysis (Palpation) • Palmer Package • Thompson • Toggle Recoil Take the next step and contact Dr. ElizabethAnne B Kitson, D.C., for a consultation in Allentown, PA or to get more information. Mitchell H Baskin, D.C., is a chiropractor located in Allentown, PA. Techniques: • Activator Methods • Thompson • Sacro Occipital Technique • Applied Kinesiology Take the next step and contact Dr. Mitchell H Baskin, D.C., for a consultation in Allentown, PA or to get more information. Barbara J Basile, D.C., is a chiropractor located in Allentown, PA. Techniques: • Activator Methods • Applied Kinesiology Take the next step and contact Dr. Barbara J Basile, D.C., for a consultation in Allentown, PA or to get more information. Heather A Strencosky, D.C., is a chiropractor located in Allentown, PA. Techniques: • Diversified • Activator Methods • Manual Adjusting Take the next step and contact Dr. Heather A Strencosky, D.C., for a consultation in Allentown, PA or to get more information. Thomas Snyder, D.C., is a chiropractor located in Allentown, PA. Take the next step and contact Dr. Thomas Snyder, D.C., for a consultation in Allentown, PA or to get more information. Scott Frankel, D.C., is a chiropractor located in Allentown, PA. Take the next step and contact Dr. Scott Frankel, D.C., for a consultation in Allentown, PA or to get more information. Brian D Barrett, D.C., is a chiropractor located in Allentown, PA. Techniques: • Diversified • Activator Methods • Trigger Point Therapy • Thompson • Motion Analysis (Palpation) • Nimmo Take the next step and contact Dr. Brian D Barrett, D.C., for a consultation in Allentown, PA or to get more information. Robert W Hagerty, D.C., is a chiropractor located in Allentown, PA. Take the next step and contact Dr. Robert W Hagerty, D.C., for a consultation in Allentown, PA or to get more information.